You will be able to teach them some new words whilst learning some of theirs. In this article you'll find all the information you need about what to pack to have the best holiday in Sri Lanka. 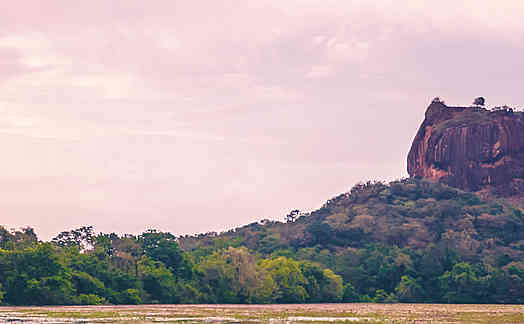 So that you can prepare your journey well and make life as easy as possible when you get there, this article will give you information you need for your trip to Sri Lanka. A practical summary to look at before you go. The best season for travelling to Sri Lanka is between January and February, or the summer if you are going to the east or the north. Before your trip to Sri Lanka, it is recommended that you fill in an Electronic Travel Authorization (E.T.A.) which is available on line. In conjunction with your passport it acts as a 30 day visa when you arrive. There are no obligatory vaccinations for a trip to Sri Lanka. You should take out medical insurance so you don't have to incur costs while there. If you are staying in a rural area for a long time anti-malaria treatments are offered free at Colombo airport, but there is very little risk. The average price is less than £700. Prices can vary between £250 and £1,500 depending on the airline and period you choose. There is a 5 and a half hour time difference with the UK in winter and 4 and a half hours in summer. Sinhala, one of the two official languages, is spoken by three quarters of the population. It has its own alphabet and belongs to the Indo-European family of languages. Tamil, which is spoken by 20% of the population, is the second official language. It's mostly used in the north and east of the country. It's also spoken in southern India. English is a relic of colonialisation and is still used by 10% of the population. But it is understood by most Sri Lankans who live in towns or on the coast. There is internet available in most cafes, restaurants, hotels and guesthouses, except in really remote areas. 220-240V - There are two plug types used in Sri Lanka, some are like UK plugs but others are like continental European plugs. You should take an adapter in case. This article tells you all the formalities required for going to Sri Lanka. In this article you will find information about safety conditions in Sri Lanka and about the best means of avoiding problems. To better plan your budget in Sri Lanka, you will find some everyday price indications in this article.